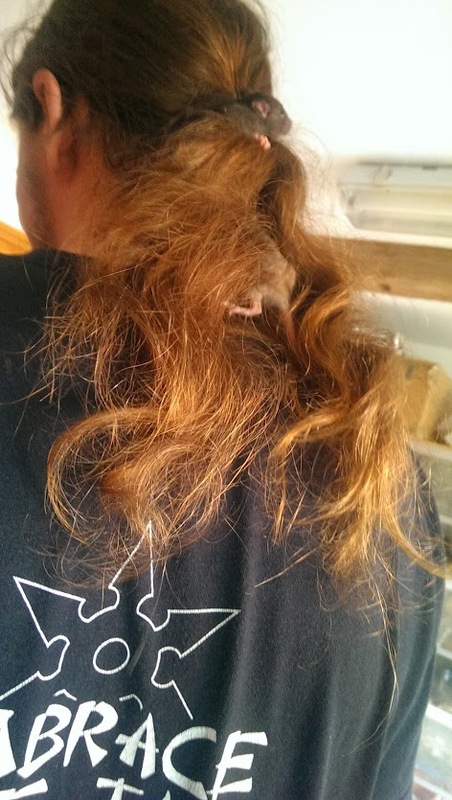 My husband and I went on Friday to finally meet the rats, and his hair was a huge hit. He had up to three of them in there at one point, and every single rat he interacted with (except for the first boy) made her way up there. You can see them playing around at the top, and two of the girls having a nice nap in the second two shots. My girls will look like that, one light, one dark, though not necessarily those specific two. All of them were sweet and at ease with us, but two in particular really clicked with me. One of the girls who was a bit timid seemed to really like me, and even spent a good long while trying to snuggle in my hair, which is way too short for snuggling. 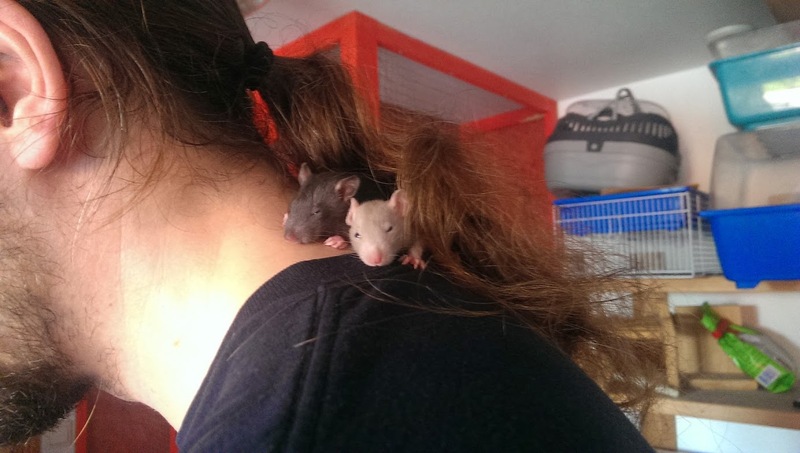 Another girl really won my heart by first crawling under her sister, since she wanted to occupy the same spot, then responding adorably when I petted her. I was stroking her head and noticing she’d sort of drifted off, so I stopped petting her. She immediately awoke enough to open her eyes a little and poke her nose around, wondering where I was, until I started stroking again. She kept doing it, too. 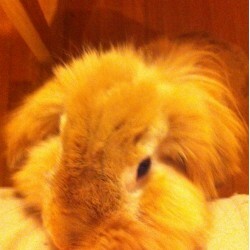 Little charmer. If my husband’s hair was a hit, than so was my skin. 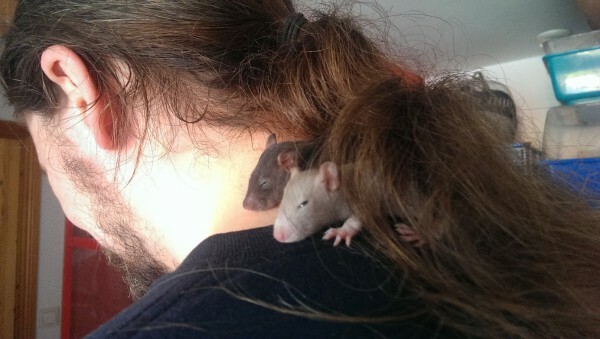 Just about every baby I held felt the need to lick me at some point, and a couple of them trekked under my shirt, because rats apparently love going under my shirt. I can’t wait until August 13th, when we can bring them home.